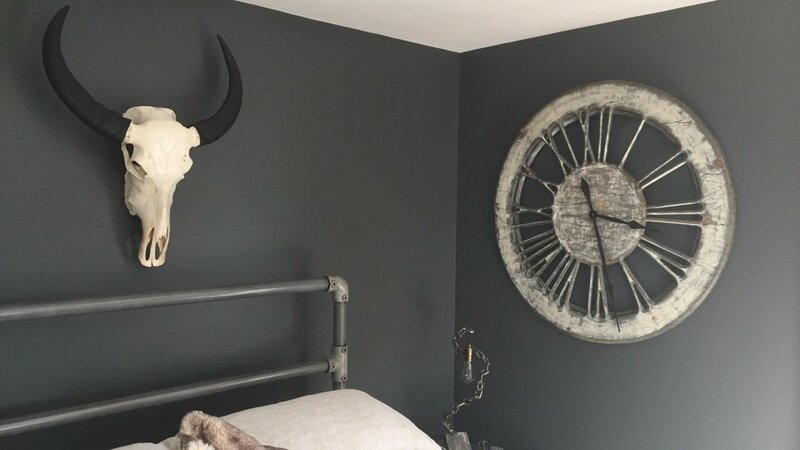 Why do customers choose handmade clocks? The topic of handmade clocks is very close to our heart because it is our core product. Our first steps online in this niche market were very difficult. Today’s home decor market is oversupplied with mass-produced inexpensive items. Unfortunately most of them are poor quality and low value. Many major supermarkets like Tesco, Asda or Sainsbury include decorative items in their offer. The online market swamps us with seemingly endless choice of goods as well. And still, if you are looking for a unique item which is not an imitation of real, you can search for hours and fail. Is anybody looking for uniqueness with so many factory made alternatives and its low cost advantage? Let’s look at it, by comparing the Peak Art wooden handmade clocks with “equivalent” timepieces offered by today’s home decor market. The first fundamental difference between Peak Art Handmade Clocks and those produced in factories is uniqueness of each single timepiece. The factory production speeds up the process, cuts the costs and eradicates the likelihood of error. On the other hand though, mass produced items lack personal touch. The process of creation is the only way to bring soul and unrepeatable character to an item. Although some of the factory made clocks are a pleasure to look at, they lack the uniqueness and artistic value of handmade counterparts. Just look at this most remarkable piece of wall art below to understand what we mean. Artistic Creation is an act where an item/piece of work brought into existence is influenced by ever changing emotions of the maker. Having direct contact with the raw materials allows the artist to expose already present unique features which otherwise would be lost in machine production. Moreover, sensory response to different textures and character of worked materials allows interaction between the creator and the medium. The above shows that hand making an artistic piece, like wooden wall clock is a unique act in itself. The exact opposite happens in machine mass production – repetitive cloning where act of creation is substituted by predictable outcome of machinery precision. Peak Art artistic wall clocks even when made according to the same design/colour pattern will always have unique features and distinctive character. Who is choosing the factory made timepiece? People who treat the wall clock purely as a time telling device. They do not pay attention to artistic value of home decoration. Who wants something unique? People with more refined taste and looking for unique features and character. They will more often buy handmade or custom made wall clocks. As you have found, Peak Art artistic wall clocks can be much more expensive that mass produced timepieces. Why? The explanation is quite simple. Anna is very passionate artist that immerses herself in her work. She takes her time to make a unique 3-dimensional art piece with unrepeatable features and character. Most large wall clocks that are available today are just an MDF printout or thin, flat, metal cut-out with poor quality and cheap look. So who would choose the handmade clocks? People choosing our handmade clocks have distinctive taste for unique items. They want to bring character and soul to the interiors. Our customers are looking for a masterpiece rather than simply a timepiece. They treasure extraordinary accessories and many are true art connoisseurs. People looking for unusual gifts and those who appreciate the value of artistic creation are also among them.